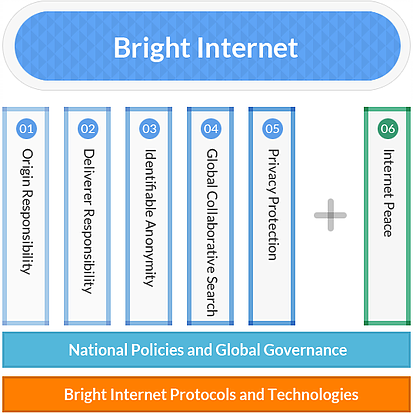 Bright Internet is proposed as a preventive security paradigm, in contrast with the current self-centric protective security paradigm. For this purpose, the principles of origin responsibility and deliverer responsibility on a global scale are adopted. However, these preventive security-related principles may limit the freedom of anonymous expression. Thus, the principle of identifiable anonymity is adopted in order to protect the freedom of anonymous expression for innocent netizens, also facilitating the traceability and identifiability of criminal origins. In addition, the principle of privacy protection is adopted by requiring audit capabilities that are superimposed on security surveillance. Each of these four principles should be applicable in the context of global collaboration. As such, these five cooperative principles are essential in fulfilling the three seemingly conflicting goals of preventive security, privacy protection, and freedom of expression for innocent netizens. To equip Bright Internet with the capacity to prevent state-led cyberattacks, a new set of principles needs to be added, termed the Internet Peace Principle (Shin, Lee, & Kim, 2018). The principle of origin responsibility means that the offensive originators of malicious codes and illegal hacking should be responsible for the consequences of their malicious behaviors. This serves as a pivotal principle leading to other principles for the Bright Internet. The principle of deliverer responsibility means that compromised computers or Internet service providers who are involved in the delivery process of cyberattacks, even unintentionally, should cooperate to prevent delivering identifiable harms to the users at the destination. The principle of identifiable anonymity means that the real name or equivalent identity of criminal origin should be identifiable in nearly real time in the context of a valid search warrant, while the voluntary anonymity of innocent netizens should be preserved. 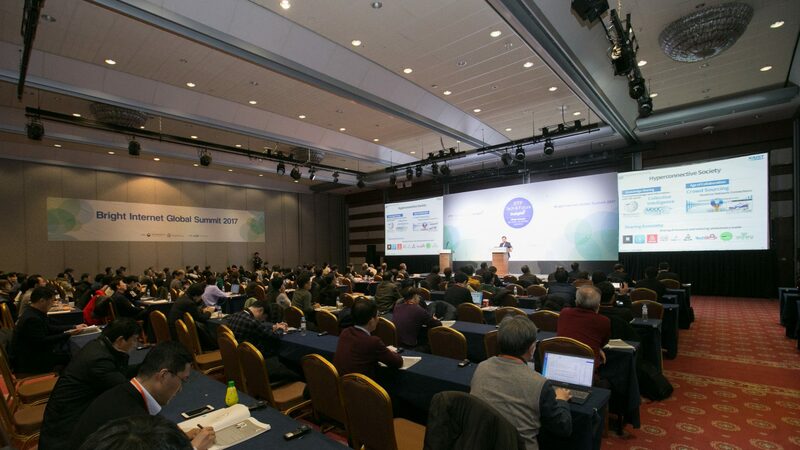 The principle of global collaboration means that in order to implement the principles of the Bright Internet on a global scale across borders, it is essential that Internet user countries collaborate globally in terms of communication, cooperation, execution, and reporting. The principle of privacy protection means that the Bright Internet system should be technically and legally designed in consideration of protecting privacy, which may be threatened by adopting preventive security-related principles. The principle of Internet peace means that states should maintain peace and security, settle the disputes peacefully, and abide by the international obligations in cyberspace but not use the Internet as a weapon for attacking other countries or means for detouring attacks.